Legal Job Market Reports - updated monthly. London – no.1 capital of the world or overpriced fantasy? London is a huge bewildering place if you are a lawyer relocating from other parts of the UK or overseas. There are well over 80,000 solicitors based within the M25 and the vast majority of law firms in the UK are located within 30 miles of the city centre. Over 20,000 of these solicitors work for the City law firms, with the remainder in house or with smaller private practice firms. If you are thinking about moving to London we normally recommend renting to start with and seeing how the land lies. The main challenge for most of our candidates is finding somewhere affordable but at the same time accessible. There are so many different neighbourhoods in London with varying facilities that you really will not have a clue where to live until you have spent some time there. A large portion of the city is going to be too expensive for all but the super rich, others have limited transport and some you just wouldn’t want to go to. Postcode areas can make a difference together with 0208 and 0207 telephone number regions. 0208 is greater London and 0207 central London. The vast majority of law firms can be found in central London, either in the West End (WC and W1 postcodes) or the city of London (EC and E1 postcodes). Collections of high street firms are found in West London (particularly Ealing), North London (Stoke Newington, Enfield and Tottenham), South East London and Croydon/Dartford/Bexleyheath, South West London (Brixton and Tooting) and North West London (Brent). 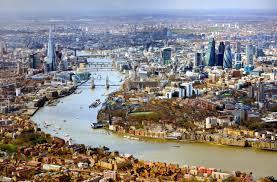 Over 3,500 law firms have London postcodes and it is the largest concentration of solicitors firms in the UK. A good number of these are sole practitioners and smaller firms, with the larger players from the Magic Circle and Legal 500 practices being based in the City. House prices have been rocketing in recent times – in October 2015 the average house price in London went over £500,000 for the first time. To put this into perspective, any solicitors outside the City bubble who earn a typical salary of say £35,000 to £45,000 will need a deposit of around £320,000 to get a mortgage (assuming a 4 x salary calculation). Not good news for any solicitors working in a high street law firm and looking for a new legal job and this does help explain why so many solicitors live outside of London and commute in. 1)The Tate Modern, Tate Britain and National Galleries. All free. 2) Hampton Court. We rate this as one of the best attractions in Europe. A whole succession of monarchs have added to Henry VIII’s original palace. A fantastic park (by Capability Brown) and gardens (including the famous maze), Tudor kitchens and one of the last remaining Real Tennis courts. 3) The River. Walk along the South Bank from Tower Bridge to Lambeth. 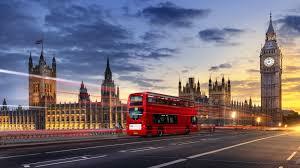 The best of London is spread out for you: The Tower of London & Tower Bridge, The Houses of Parliament, Lambeth Palace (residence of the Archbishop of Canterbury), Shakespeare’s Globe theatre, Both Tate Galleries, St Paul’s Cathedral, The South Bank Centre, The Temple, The London Eye, Westminster Abbey, Somerset House. Or you can take a boat out to Greenwich, the Thames Barrier or the Dome. 4) Westminster Abbey – where they crown Kings and bury bards. Very expensive. 5) PMQ Prime Ministers Question Time – the political equivalent of feeding time at the zoo. If you’re lucky enough to get in the strangers gallery for Question Time, see the Prime Minister and the Leader of the Opposition snipe at each other across the floor of the house. When there is a debate ongoing, visit at about 19:00. 6) The Inns of Court – again a free attraction – medieval ‘Inns’ five in number (Grays, Lincoln’s, Inner, Middle, Outer) house lawyers who still use laws going back 1000 years, they reside in glorious buildings and retain arcane manners and modes of dress. 7) The Parks – the lungs of London, you can walk from Westminster to Holland Park (look on the tube map) solely in the parks. The view from the bridge in St James Park towards Whitehall is stunning. Regent’s has excellent cultivated gardens and the famous zoo, Hyde Park has Speakers’ Corner, St James has the lake and pelicans, Green is Stately and Royal and Kensington Gardens houses the Royal Costume collection. Holland Park has the Orangery and an Opera House, as well as the most beautiful youth hostel in the country. You can bathe naked on Hampstead Heath, go fly a kite on Blackheath or visit the deer in Greenwich park. 8) The City – home to the Bank of England, Bow Bells, and the few remaining architectural treasures of Samuel Pepys’ London. 9) Museums and Galleries The British Museum [African, Babylonian and Egyptian galleries, reading room and court], The Victoria & Albert [British galleries and Cast Rooms], Sir John Soane’s museum, the Natural History and Science Museums, the Museum of London . 10) The Theatre: – The price is surprisingly low for a lot of shows. School League Tables for London can be found here. The easiest way to search for a hotel in London is simply to visit www.trivago.com and combine this with a search of the Premier Inn website. LateRooms.com can be another good source of reasonably priced hotels at short notice, although having experienced a range of budget hotels over the years when travelling into London I recommend erring on the side of caution. I once spent a night in what could only be described as a cupboard. 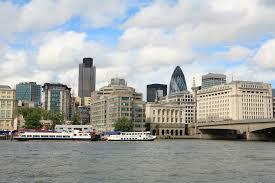 For details of our legal job vacancies in London at present, please click here.